Absolutely Beautiful home with so much to offer! Start with the 4-5 Bedrooms, 2.5 Bathrooms, Spacious Contemporary open floor Plan on the upper level which was built in 2009. Master Bedroom has large walk in closet, Custom Tiled shower, Heated Jacuzzi Tub and more. Many Additions including 2 & 1/2 car garage, 24 x 24 ft. pole barn,Storage building with Chicken Coop and Pistol shooting area. Lower level fully finished with 3 Bedrooms, Tiled flooring, Wood Stove, full Bathroom remodeled in 2009, French doors lead to the backyard. Large bedroom could be an In-Law suite. Information on the many improvements/Additions included in the Property information sheets. Was also Zoned Commercial with a small business in the lower. ** 2009 Upper level brings the square footage to over 3200 square feet! 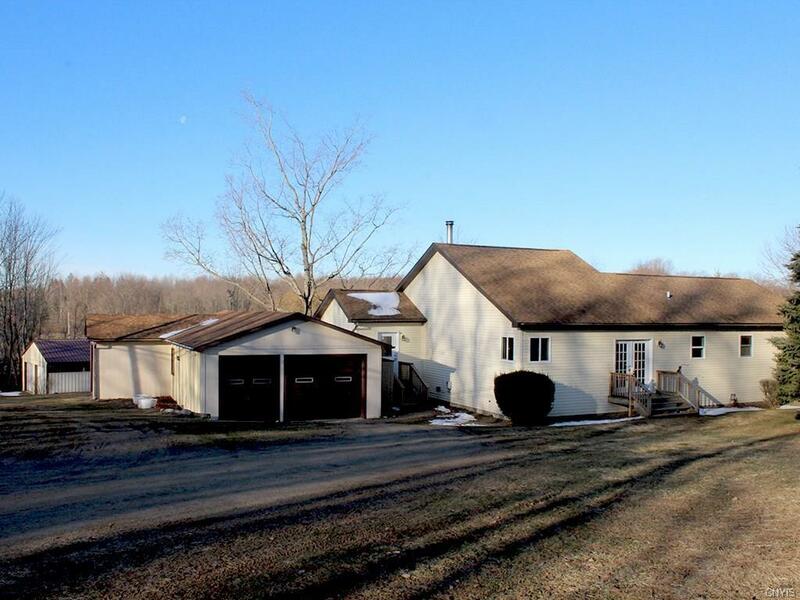 Directions To Property: From Oswego Take County Route 7. House Will Be On The Right Past Furniss Rd.